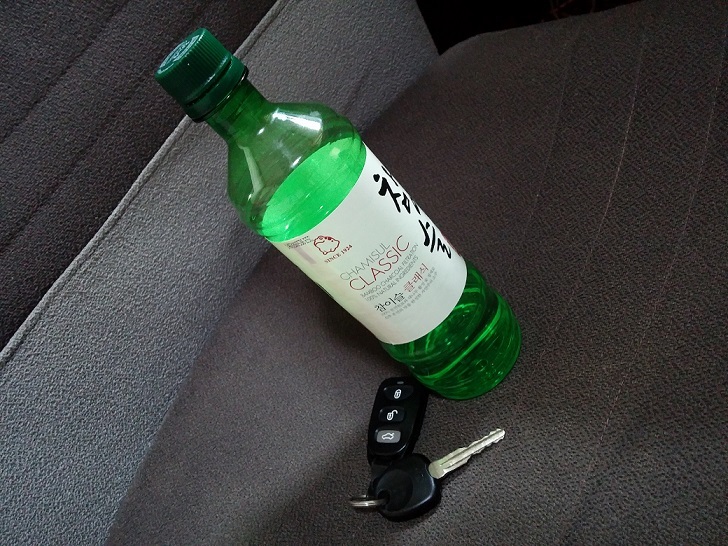 Driving with a blood alcohol content (BAC) of 0.05% or higher constitutes drunk driving in Korea. It takes around three shots of soju for an adult to attain a BAC of 0.05%. The criminal punishment for drunk driving is imprisonment for not more than 3 years or a (criminal) fine not exceeding 10 million won. At the same time, the offender’s driver’s license will either be revoked or suspended for a period of time. Korean courts view breathalyzer test results as definitive unless the driver, with justifiable reason, had asked for further tests (i.e., blood tests) within a reasonable period of time. A blood test may be conducted with consent when a driver refuses to accept the results of the breathalyzer test. Blood test results normally prevail over breathalyzer test results. 1) Before taking the official breath sample, did the police officer allow the driver to gargle (w/ water)? 2) In iffy cases where the first breathalyzer test result was just slightly over 0.05%, was the second/third breath sample taken using a different straw? 3) In cases where the breathalyzer test was conducted much later to the time of driving, was the BAC estimate properly calculated in accordance with the Widmark formula? The Widmark formula is a formula that “retro-estimates” the BAC of the driver at the time of driving based on factors such as gender, height, weight, and time elapsed since consumption of alcohol. At any rate, it is vital that all of these factors are taken into account, and the estimate chosen is the one most favorable to the driver. Botch-ups can/will allow the driver to contest the result. Since January 24, 2011, Korean drunk driving laws still apply when driving in areas not defined as “road” under the Korean Road Traffic Act (도로교통법). These areas include parking lots, school grounds, and even areas within apartment compounds that are separated by vehicle entry points. In discussing drunk driving, the crime of “Failure to Comply with Sobriety Test” (음주측정불응) should also be mentioned. Although they often go hand in hand, the two are separate crimes. For instance, even if a driver is later found to have a BAC below 0.05%, that driver can still be punished for “Failure to Comply with Sobriety Test” if he/she had initially refused to take a breathalyzer test without “justifiable reason.” FYI, one recognized example of “justifiable reason” is highly unstable breathing as a result of bodily injury. 2) All breath/blood samples subsequently provided will not be admissible as evidence in a court of law.